Super Savings Item! 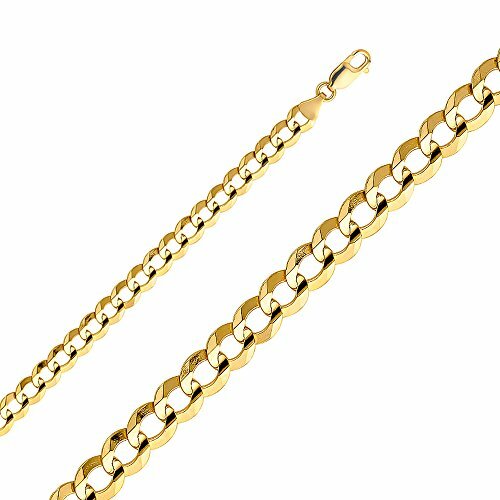 Save 34% on the 14k Yellow Gold 7mm Cuban Concave Chain - (26 Inches) by Top Gold & Diamond Jewelry at Blood of The Young. MPN: CH0318-26. Hurry! Limited time offer. Offer valid only while supplies last. 14k White Gold 2mm Polished Wheat Chain Necklace 24"
14k White Gold 1.1mm Singapore Chain Necklace 30"
Solid 14k Children Girl Baby Kids Toddler White Gold .01ct Diamond Cross Crucifix Necklace Chain 15"
10k Yellow Gold Polished 1.8mm Singapore Link Chain Necklace 16"